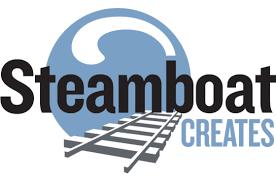 Welcome to the Steamboat Creates 2019 Strategic Planning Survey for organizations in the community. Please respond to questions as a representative for your organization. Thank you for taking time to share your opinions with us! Note: Questions marked with an asterisk are required questions. Please answer. * 1. Please describe the type of organization on whose behalf you are responding to this survey. * 3. How important is it to your organization that Steamboat/Routt County has a thriving arts, culture, and overall creative community? * 5. As an overarching organization for arts, culture, and other creative endeavors in the community, how do you think Steamboat Creates could help creatives, creative sector organizations, and/or our community overall?